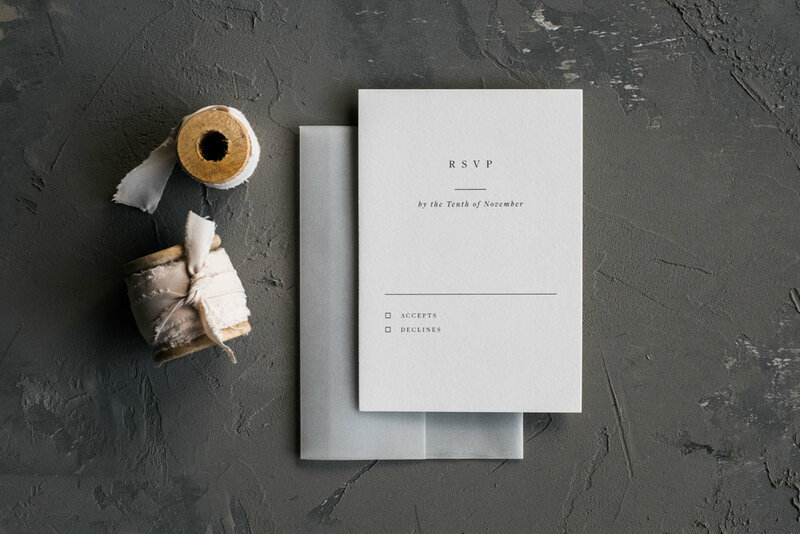 Pale Taupe main envelope. Snow reply envelope. 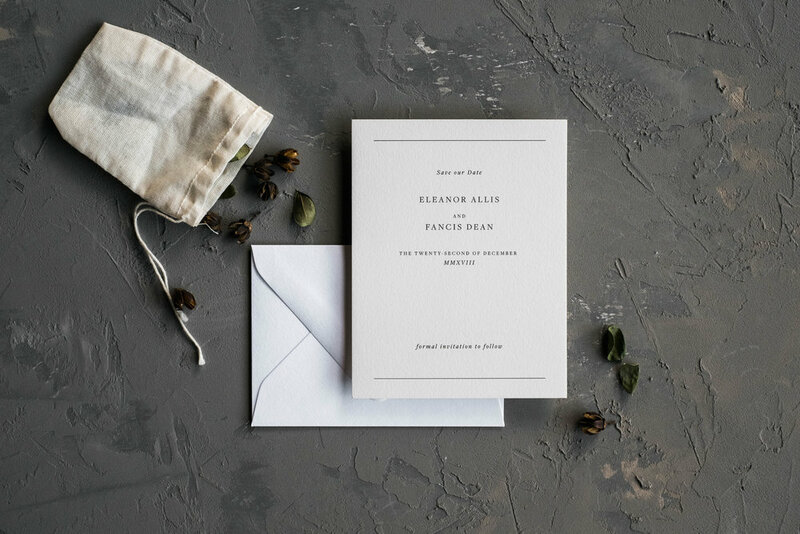 Serif text printed in Charcoal ink on ivory cotton stock. 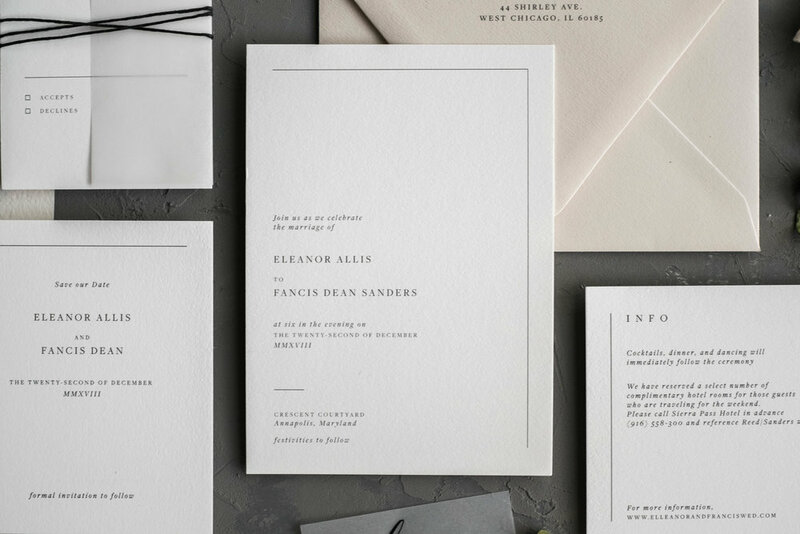 Clean lines and classic typography, this suite has a minimal approach. The design accentuates negative space as if it was a title page of a book. It is most suitable for a pure and simple ceremony.